England entered this series in the Caribbean as heavy favourites on the back of two excellent results, having won 3-0 in Sri Lanka after their 4-1 home victory over world number one team India. Yet England remarkably have been dismissed for scores of 77, 132, 187 and 246 against a solid but unspectacular West Indies attack. The West Indies began this home series against England having won only three of their previous 12 Tests, then thrashed the tourists by 381 runs in the first Test and then ten wickets in the second match. While England still have a good pace unit thanks to the presence of veterans James Anderson and Stuart Broad, their batting is threadbare and reliant on lower order runs. England have only one proven specialist batsman in Joe Root and even he is struggling, having averaged just 35 over his past 20 Tests. Aside from Root, England have labouring specialist openers to choose from in Keaton Jennings, who has just been dropped after averaging 25 with the bat from 16 Tests, Rory Burns who averages 26 from his five matches, and 32-year-old newcomer Joe Denly who made 6 and 17 on debut this past week. So fragile is England’s top six that they’re being forced to stack their lower order, which is resulting in bowling all-rounders like Sam Curran and Moeen Ali taking the places of specialist bowlers. This odd balance at times works well, but at other junctures it is brutally exposed. The English cricketing press almost unanimously agree it doesn’t look like a sustainable strategy. Included in England’s long batting line-up at present are three all-rounders in Ben Stokes, Moeen and Curran, alongside a trio of wicketkeepers in Jonny Bairstow, Jos Buttler and Ben Foakes. There is plenty of talent among that lot. But England’s issue is that all six of them are best suited to batting between six and eight in the order, which leaves Root as the only proper, proven top five Test batsman in the line-up. 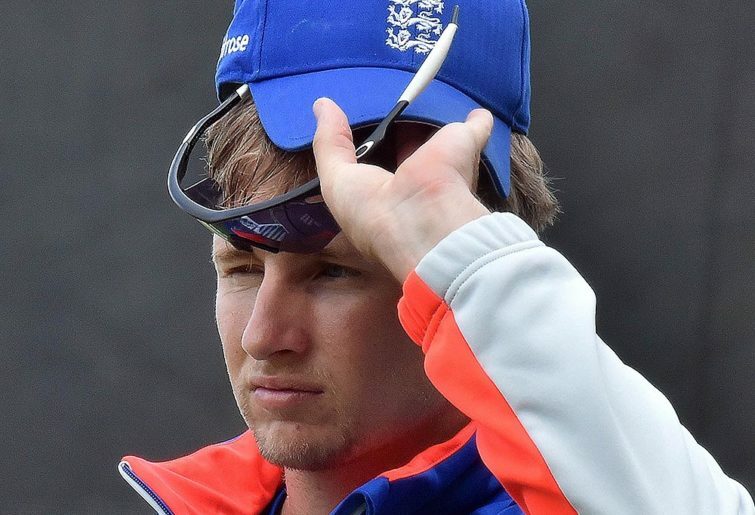 England have had a revolving door of poor Test openers since Andrew Strauss retired in 2012. Now that his long-time opening partner Alastair Cook has retired, too, England’s opening stocks are truly dire. These are the Test batting averages of their most recent openers – Denly (11), Burns (26), Jenning (25) and Mark Stoneman (27). 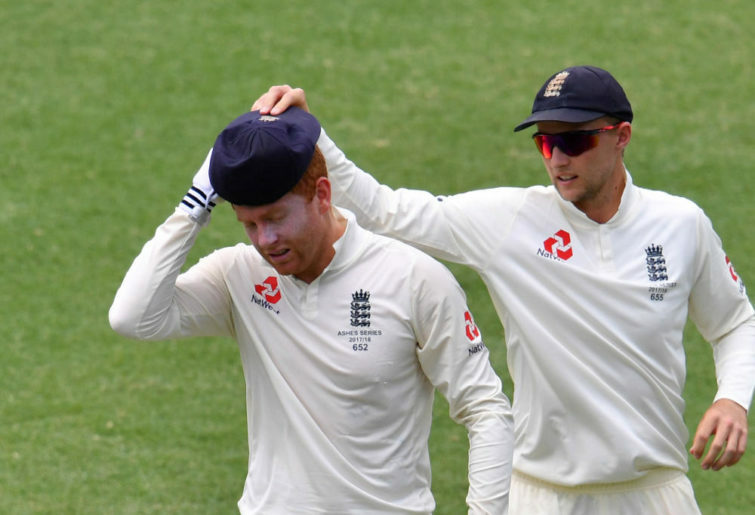 Because Root refuses to bat at first drop and the side is drenched in wicketkeepers, Jonny Bairstow is being forced to play out of position as a specialist batsman at number three. Bairstow apparently made it clear he did not want to give up the gloves, which are now taken by Foakes. That is not surprising given Bairstow was an elite wicketkeeper batsman but has laboured badly as a specialist Test batsman. In 21 matches as a frontline batsman Bairstow has averaged just 29, compared to his fantastic average of 41 when he keeps. Behind Bairstow at four captain Root is going through the longest form trough of his fantastic Test career. He has scored just two tons from his past 20 Tests while averaging 35 in that time. Down at six and seven in the English order are two more players badly out of nick with the blade in Ben Stokes and Moeen Ali. Stokes hasn’t been able to buy a run since returning 11 months ago from his suspension for king hitting a man in a late night incident. Although the all-rounder has been in hot form with the ball in that time, taking 30 wickets at 27, he has averaged only 24 with the bat. Moeen, meanwhile, had a horror series in the last Ashes with both bat and ball, and has now averaged just 19 with the blade across his past 25 Test innings. Oddly enough, arguably the most reliable member of England’s top seven over the past year has been Jos Buttler, a man who until then was pigeonholed as a white ball blaster. Buttler was a speculative pick by the English selectors in May last year. So explosive was his style of limited overs batting that it seemed likely he would be inconsistent at Test level. The opposite has been true to date, with Buttler continually chipping in with handy runs. In 22 innnings during that time he has passed 50 seven times, and also has another eight scores of between 21 and 39. His average in that period is a solid 39. Buttler has had to bat more sensibly than he may perhaps otherwise wish to because of the continual collapses around him. England have been four down for less than 100 in 12 of their last 20 Test innings. Again and again it has been left to the middle-to-lower order to rescue them from peril. This was not possible in the Caribbean, leading to successive maulings. Does this mean England are ripe for the picking in the Ashes? Absolutely not. Because however fragile England’s batting may be, Australia will be even more vulnerable in seaming conditions. But recent results do suggest England are far from a commanding Test team.